Does scientific evidence give credence to religious belief? 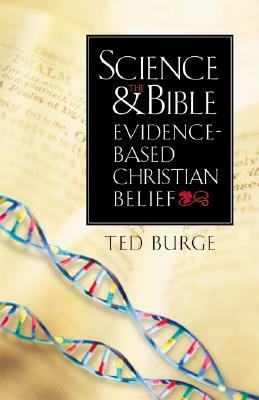 Ted Burge, a highly respected physicist in the United Kingdom, draws on his background in the fields of science and theology to address the issue. The book begins with an analysis of evidence found in the text of the Bible in different translations, proceeds to an examination of interpretations of the Old and New Testaments, and then looks at evidence from the sciences, including archeological findings, geological mappings, and carbon-dating, alongside data from the arts, hymns, literature, and historians' testimonies. •Meditation and prayer as a "conscious interchange of thoughts with God"
Knowledge of science is knowledge of God's creation and often helps to identify some of the things we can say about God, the author points out. Ted Burge is an emeritus professor of physics at the University of London, where he was dean of the Faculty of Science from 1982 to 1986. He studied physics at Bristol, and Uppsala, Sweden, and obtained his PhD in 1949. He studied theology at Lincoln College, Oxford, graduating in 1953. He is the author of Lord for all Seasons; Lord of All, Hear Our Prayer; and Atomic Nuclei and Their Particles.